Our choir is led by Linda Laurenz with practices after worship most Sundays beginning in September and going thru May. Anyone in high school on up is welcome to join us in raising our voices to Jesus. 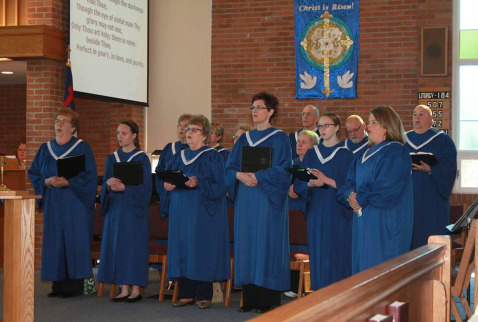 In November the choirs of Immanuel, Wheeler and Zion join together in voice at each church. We welcome ANYONE who would like to join our group … come and sit in on a rehearsal to see if you’d like to join us regularly, or even temporarily as your schedule permits.